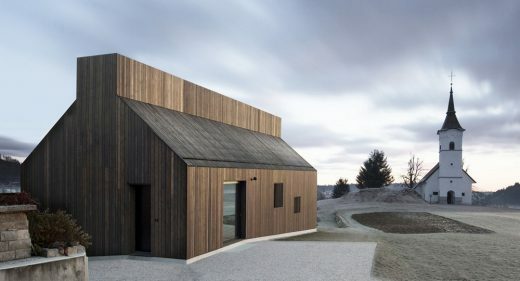 dekleva gregorič architects is an architectural practice based in Ljubljana, Slovenia and founded by Aljoša Dekleva and Tina Gregorič. Alongside their architectural practice, they are intensively involved in reshaping approaches to architectural education. Aljoša Dekleva is Programme Head of Architectural Association Visiting School Nanotourism and has been Guest Professor of Architecture at Ecole Nationale Supérieure d’Architecture Paris Val de Seine and Universite de Montreal, Canada. Tina Gregorič is Professor of Architecture at TU Wien, Austria. They lecture extensively both in Slovenia and abroad, presenting their practice and their research. Tina and Aljoša both graduated from the Faculty of Architecture in Ljubljana and later received Master degrees in Architecture with Distinction at the Architectural Association (AA) in London (AADRL 2002), after which they established Dekleva Gregorič architects in 2003. Initially they began with research on topics of user participation and mass-customization of collective housing at the AA in London, and are co-authors of the book Negotiate my boundary!, published by AA Publications and Birkhauser. The book received intense professional attention, related particularly to the social models of sharing and co-habitation. Recently they initiated and led a distinctive design research project on nanotourism, a participatory, locally oriented alternative to the current downsides of conventional tourism. Together with their research team at BIO50 (Biennial of Design, Ljubljana, 2014) they received the biennial’s highest honour – Best Collaboration Award. In 2016 they curated [Home at Arsenale] in the Pavilion of Slovenia at the 15th International Architecture Exhibition – La Biennale di Venezia, a curated library addressing the notions of home and dwelling. Their practice attempts to pursue the concept of ‘research by design’ and ‘design by research’ through diverse projects, through different scales and programs as well as diverse climates and localities. Understanding of the specific constrains and conditions of the context become the ultimate generative tool that aims to challenge the obvious. They utilize a systematic design approach to establish an intense structuring of space and to challenge the use of materials by exposing their primary natures. The user experience of architecture and participation continue to constitute the practice’s central objective. Topics like new collectivity, sharing, participation and collaboration frame a social position to architecture that aims to stimulate new interaction with or between users, encourage user participation in the design process and customization according to users’ needs. 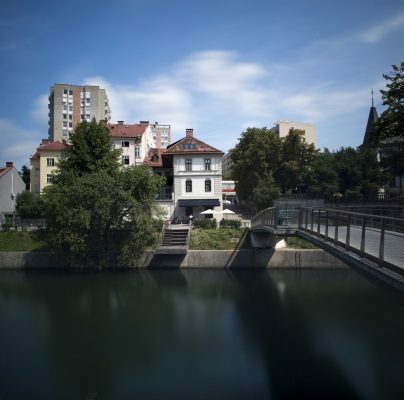 Several Dekleva Gregorič projects explore the topic of home and dwelling, including their first project, the internationally awarded and exhibited, 43 m2 XXS house built in 2004 in central Ljubljana. In 2012, their project Clifftop house on Maui, Hawaii received the AIT Award and International Architecture Awards 2012. Recently, they have managed to improve social interaction with a series of small but distinct shared spaces as part of large collective housing project Brick neighbourhood in Ljubljana. 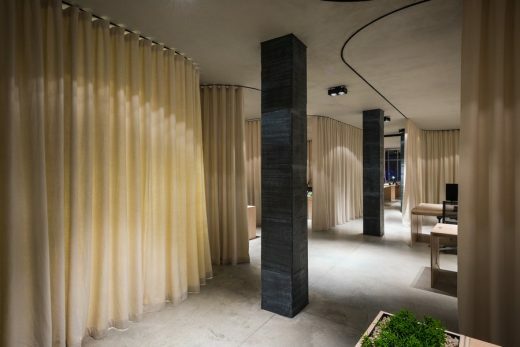 In 2015, they explored the potentials of redefining regional tradition and condensed family life in Compact Karst House, which won the WAN House of the Year 2015 Award, Best architects 16 Award, and was commended in the prestigious AR House Award 2015, by Architectural Review, UK. Architects Aljoša Dekleva and Tina Gregorič tend to continuously question the role of architecture in an attempt to improve our society.